WiFi radiation is many more times stronger than cellphones, and WiMax is WiFi on steroids. "What you need to know is that federal guidelines are based on a thermal (heating) effect. If the radiation doesn't heat your body it is assumed to be safe. This is simply NOT true. We now have plenty of scientific evidence showing that we have adverse biological and health effects at levels well below the thermal guidelines. Microwave radiation was used for the first time during the 2nd world war as radar, locating enemy aircraft. We are now using the same frequencies to heat our food (microwave ovens), to make phone calls (cell phones and cordless phones), to listen to our babies (wireless baby monitors), to connect to the internet (WiFi and wireless routers), to submit our electricity usage (smart meters), to protect our homes (wireless monitors) . . . There is only so much of this radiation that people can tolerate before they become sick, and people are becoming sick. The illness is called electrohypersensitivity (EHS) and is virtually identical to microwave sickness experienced by radar operators during the second world war." What’s the difference between WiFi and WiMAX? WiMAX is way stronger than WiFi. WiMAX is a type of wireless Internet service. People call it “Wi-Fi on steroids” - like those bodybuilders who are so pumped up they don't even look human. WiMAX uses centrally placed masts (like cell phone towers) to transmit high-speed internet across campus', resorts, and entire towns. In order to transmit over a really large area of land, the WiMAX towers are allowed to operate at power levels way above those of WiFi masts. And the Internet receiver units, which are inside your laptop or computer, emit microwaves at up to twice the power level of Wi-Fi. So, if we already know that WiFi is really bad for you and is making thousands of kids sick, what do you think WiMAX is going to do to us? Many universities have already installed WiMAX across their campus - although some, like Lakeshore University in Canada, have banned it now, and that trend is continuing. about the dangers of wireless, WiFi and cellphones - a good one to give to all the adults you know. 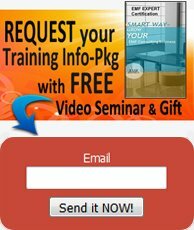 Listen to this very informative phone interview with Dr. Magda Havas PhD, discussing why WiFi microwave radiation and WiMax in our schools is a particularly dangerous technology, how it is affecting our children in particular, and how to protect ourselves and our families (1 hour interview). Concerned about WiFi exposure in your child's school? 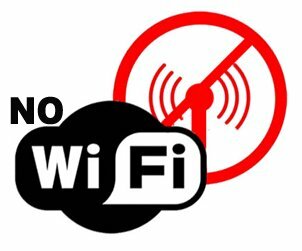 Download this convenient "No WiFi in our School Please" Letter to Teachers, Principals, and School Boards - written by an actual student after completing a research project on the dangers of WiFi. Download pdf, print out, fill in, mail in. And also pass it on by email to other concerned parents with school age children. Learn how to protect your living space from unrelenting WiFi bombardment and other ubiquitous EMF exposure, particularly during our most important hours of rest and repair - our sleep. 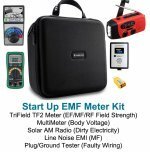 Looking for an EMF Professional in your area? Peruse our Directory of Certified EMF Expert consultant graduates and other professionals across the country and around the world. We may have trained one right in your neighborhood.